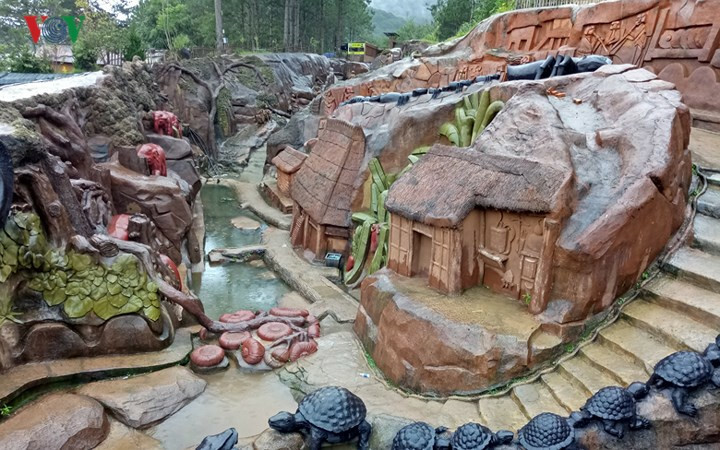 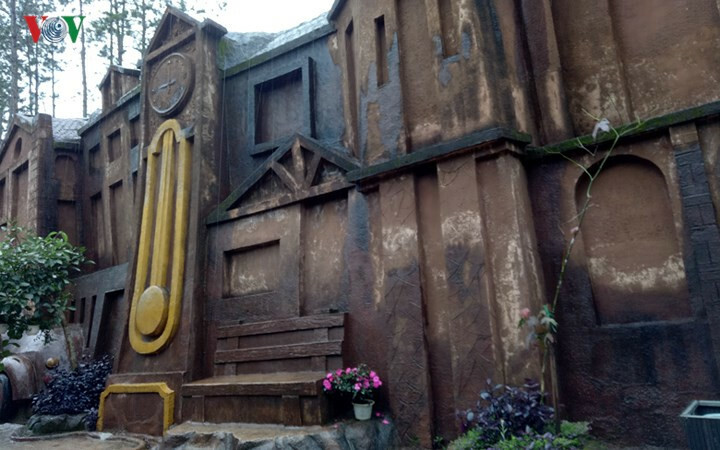 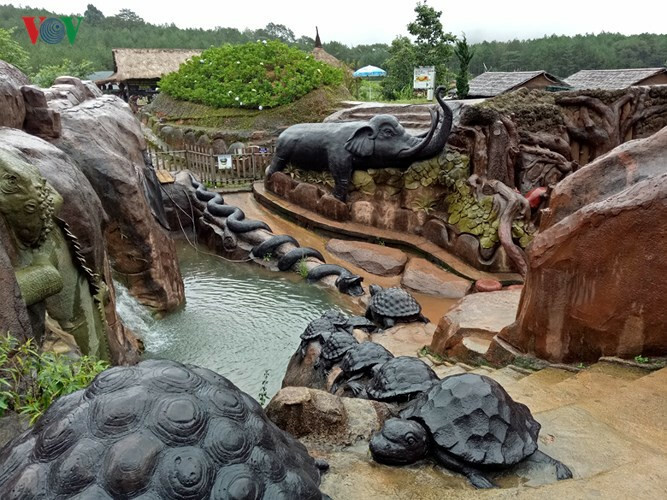 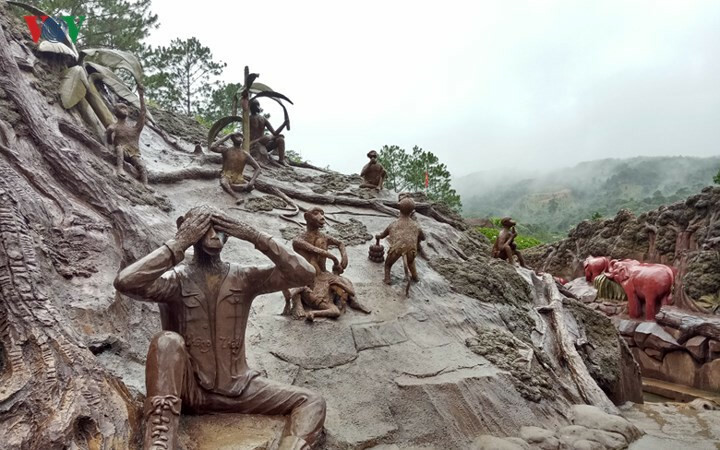 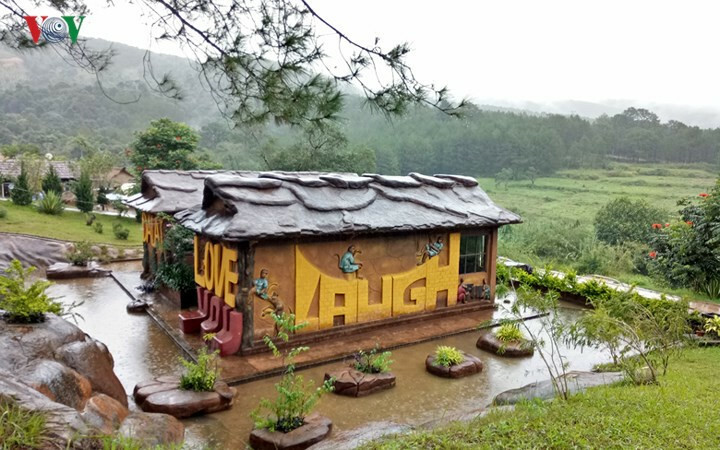 The clay tunnel or Da Lat model village of clay sculptures is a must-see destination for tourists in the central highlands province of Lam Dong. 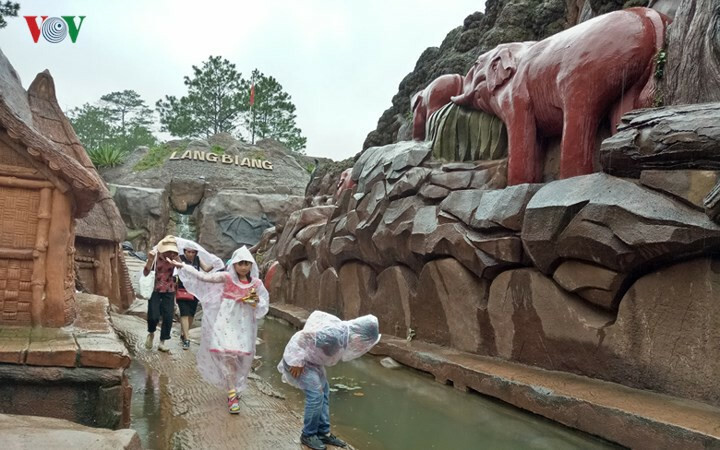 Covering more than 1,200 square metres of lush pine forest, the clay tunnel is a new artificial wonder for Da Lat city in the central highland province of Lam Dong. 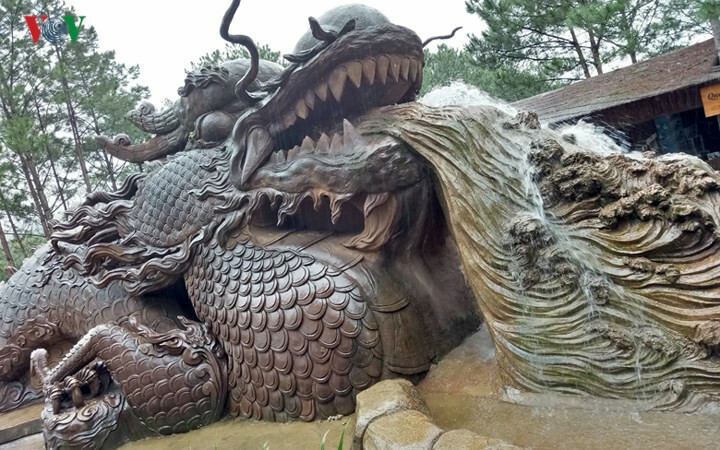 The clay tunnel begins with the head of a dragon, a sacred symbol of Vietnam’s origins and ancestors. 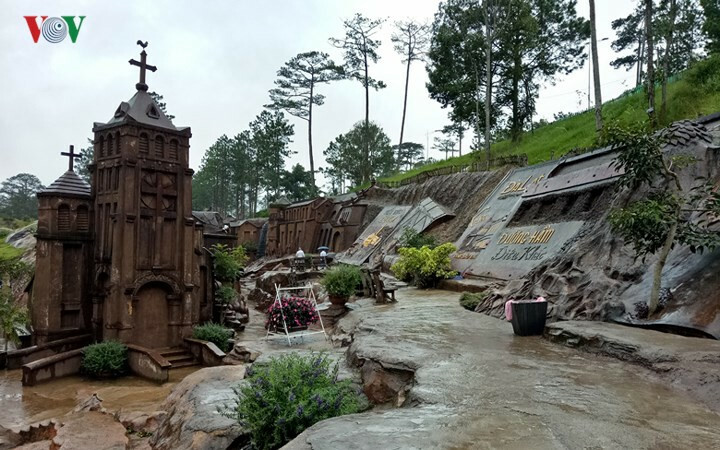 A miniature version of Da Lat. 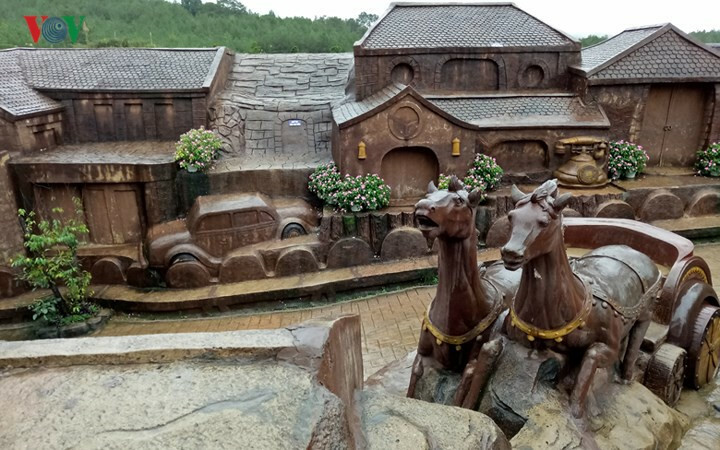 Unique architectural masterpieces such as the railway station, Bao Dai’s Palace, Pasteur Institute, Da Lat University, Palace Hotel, Linh Son Pagoda, Ho Xuan Huong Lake, and Da Lat market are meticulously reproduced with red clay. 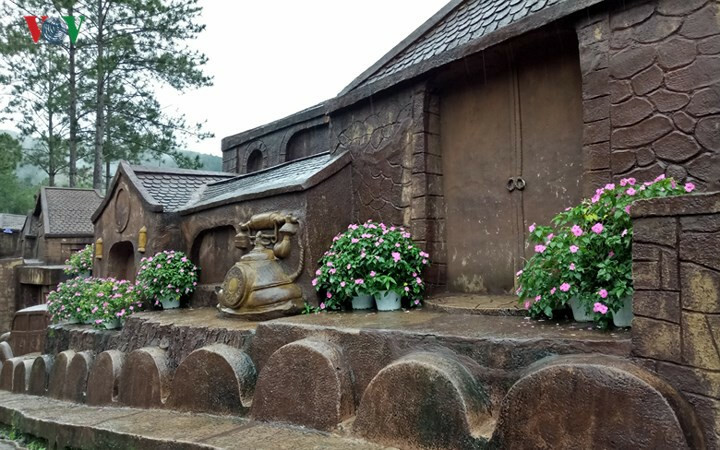 The clay tunnel has different names such as sculpture tunnel or clay village, to pique tourists’ imagination and curiosity. 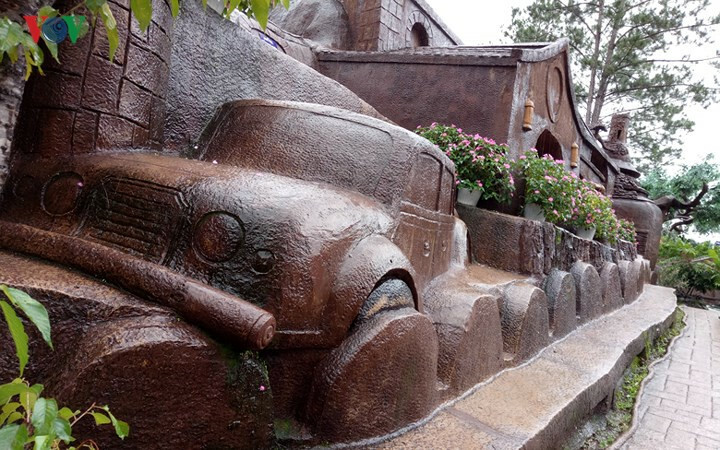 The sculpted profile of an artist drawing inspiration from Da Lat. 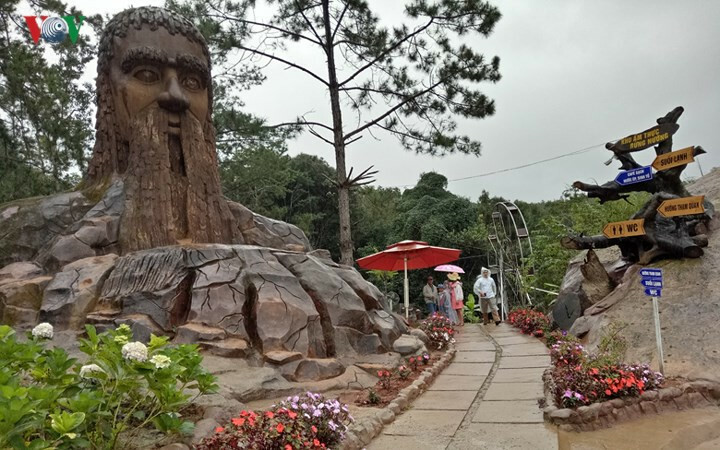 The clay tunnel is located near the Da Lat pine forest. 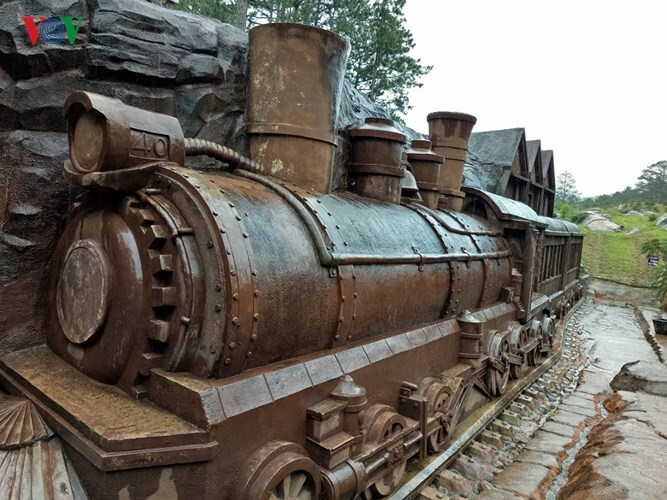 A clay model of Da Lat railway station. 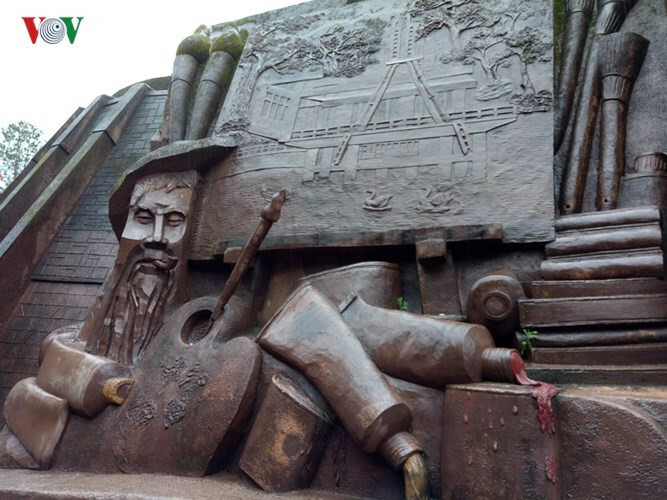 A figure of French scientist Alexandre Yersin, the man credited with founding Da Lat. 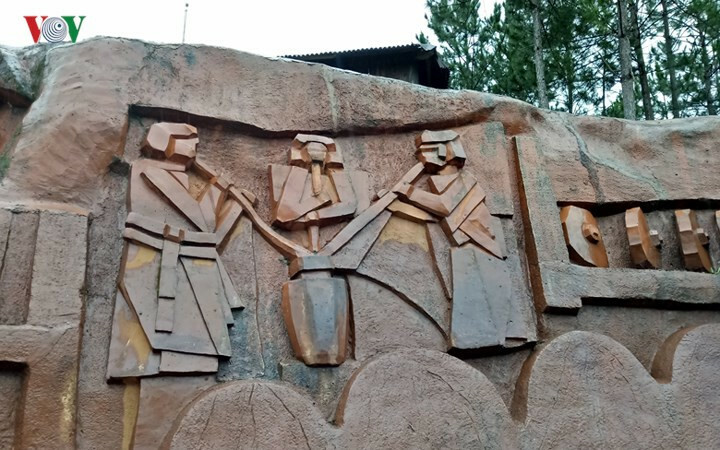 The daily life of locals is depicted in relief on the tunnel wall. 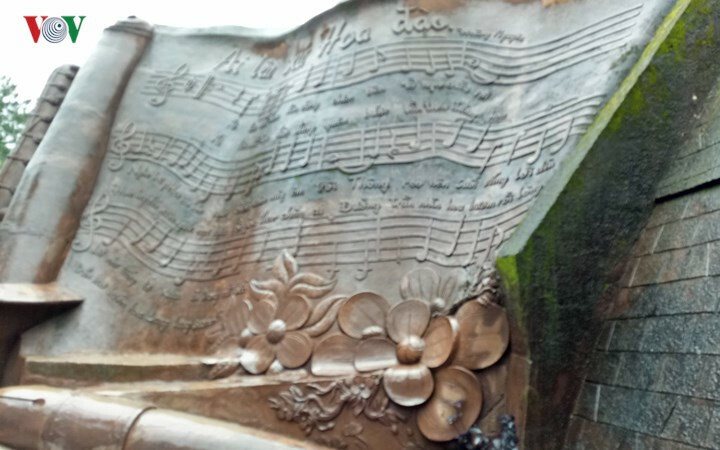 The clay tunnel has grown to become a unique sculptural masterpiece thanks to the skilfull hands of talented artisans. 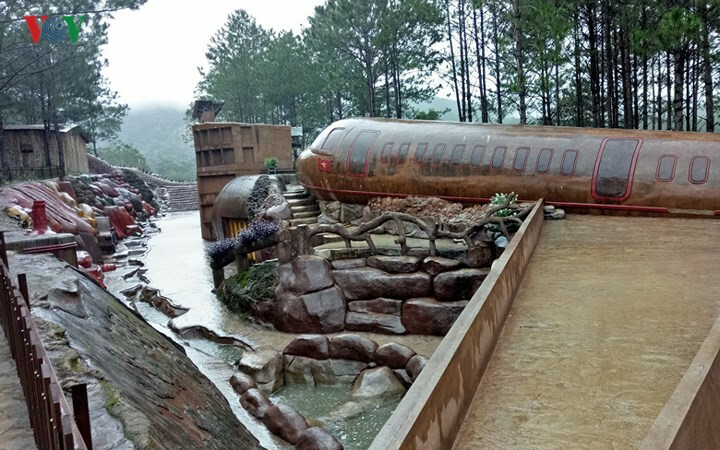 There is a large model of Lien Khuong airport at the end of the tunnel. 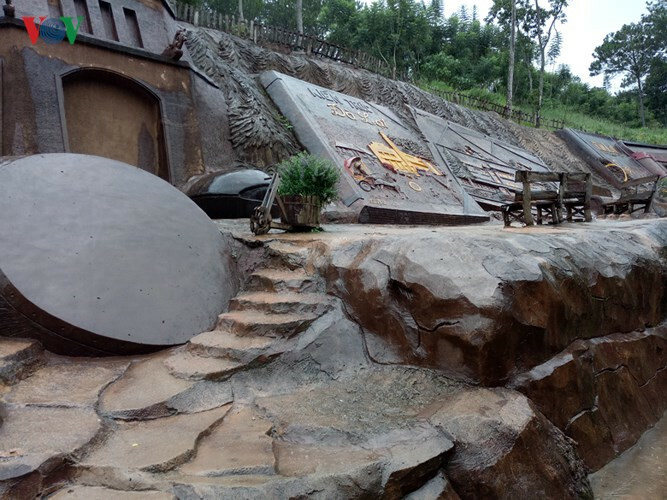 A highlight of the tunnel is the clay house – the biggest basalt house in Vietnam with its roof featuring a clay map of Vietnam.